The Holy Synod of the Russian Orthodox Church, at its session on October 15, 2018, in Minsk, adopted a Statement of the Holy Synod concerning the encroachment of the Patriarchate of Constantinople upon the canonical territory of the Russian Orthodox Church. It is stated in particular that "to admit in communion the schismatics and a person anathematized by another Local Church together with all the ‘bishops’ and ‘clergy’ ordained by them, the encroachment upon somebody else’s canonical parts, the attempt to reject one’s own historical decisions and commitments – all this places the Patriarchate of Constantinople outside the canonical space and, to our great sorrow, makes it impossible for us to continue the Eucharistic communion with its hierarchy, clergy and laity." 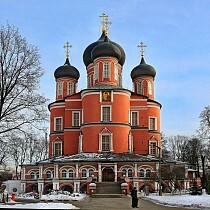 "From now untill the Patriarchate of Constantinople abandons its anti-canonical decisions, it is impossible for all the clergy of the Russian Orthodox Church to concelebrate with the clergy of the Church of Constantinople, and for the laity to participate in sacraments administered in its churches," the document states.